More than 100 guests attended Devereux N.J.’s “Double Down for Devereux” event. 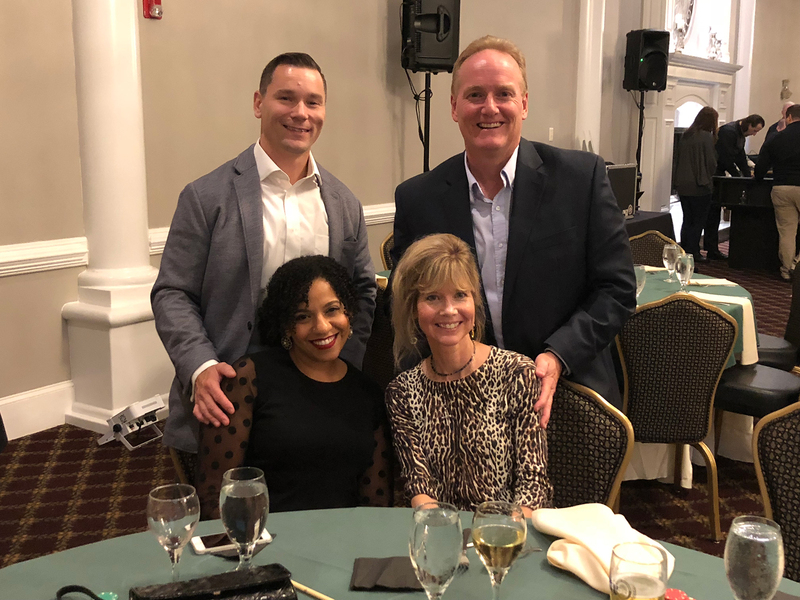 The organization raised more than $7,000; proceeds will benefit more than 500 individuals living with emotional, behavioral and cognitive differences across the Garden State. 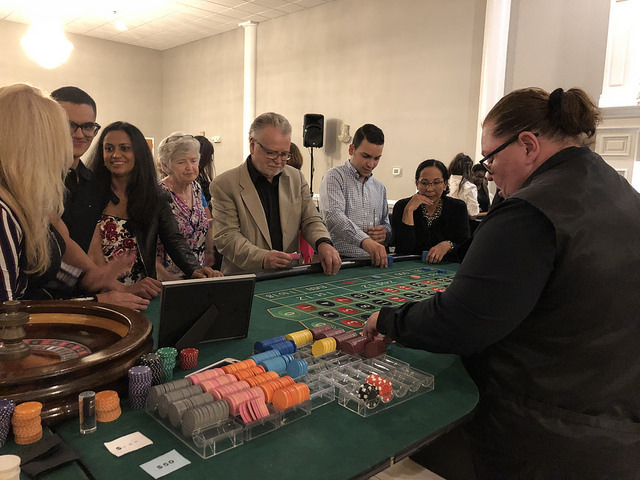 Guests enjoyed casino-style games, food and fun. 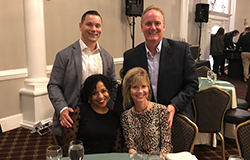 Pictured here: (left) Devereux N.J. Executive Director Brian Hancock and his wife, Rebecca, with Devereux Vice President of Operations Adult Services Steve Bruce and his wife, Susan. 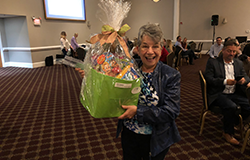 Double Down for Devereux attendees also had chance to win 20 variously-themed gift baskets. Here, Fran Meagher takes home her gift basket! Thanks to the generosity both of sponsors and attendees, Devereux New Jersey raised more than $7,000, far exceeding its goal of $5,000. Proceeds from the event will directly benefit the lives of more than 500 children, adolescents and adults living with emotional, behavioral and cognitive differences across the Garden State. 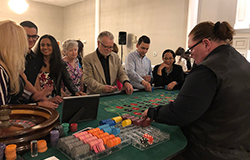 Entertainment at the October 6 event, which was held at The Palace in Blackwood, N.J., included casino-style games such as blackjack, craps, roulette, three-card poker and a money wheel. Guests also enjoyed a dinner buffet and an open bar, while a DJ helped create a lively, festive atmosphere. 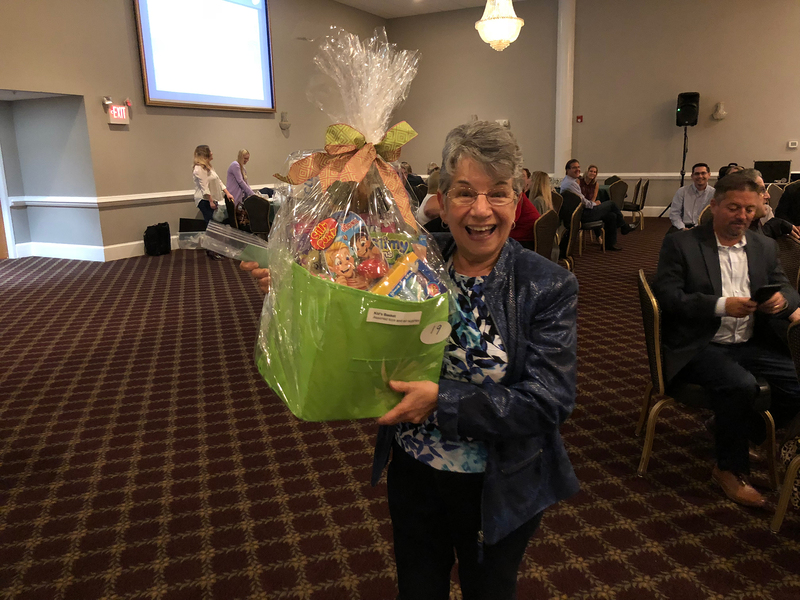 At the end of the evening – to sweeten the pot – guests traded in their gambling chips for raffle tickets for a chance to win 20 variously-themed gift baskets or the grand prize of a 65-inch LG TV, which was generously donated by Devereux’s Southern New Jersey Advisory Board. Mark your calendars! Devereux New Jersey is hosting its annual Food & Wine Pairing on November 4 at Scalini Fedeli in Chatham, N.J. Join us and support our efforts to help individuals throughout New Jersey living with emotional, behavioral and cognitive differences, while enjoying exquisite pairings of wine and Italian cuisine.